Purchasing a SIM-free iPhone Xs Max or iPhone Xs is the simplest way of getting your hands on a brand new unlocked handset. However, if you can’t shell out $999 or above for a brand new iPhone, there are still plenty of options available at your disposal. Your first option is to buy an unlocked iPhone Xs or Xs Max from Apple directly. It’s unlocked and can be bought online or through the flagship retail outlet. 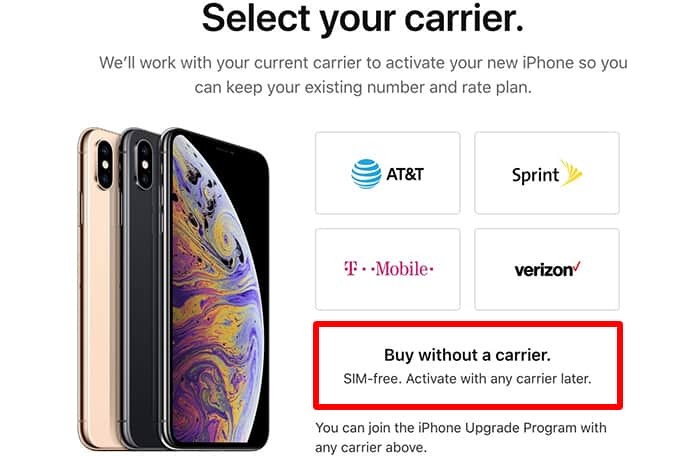 SIM-free iPhone Xs models come unlocked and work with any US-based carrier. Unlock the previous year’s iPhone model (iPhone X), the iPhone Xs Max and iPhone Xs come in SIM-free variants from the get-go, so you won’t have to wait for full unlocks or any details. By purchasing your handset from Apple directly, you’d be good to go. However, it is important to note that you’d be paying full price up front for Xs, whose 64 GB model begins at $999, and 256 GB model begins at $1,149, while the 521 GB variant costs $1,349. The costs go even up for iPhone Xs Max, which comes with a bigger display. If you’re able to afford them, go ahead. However, if you’re looking cost-friendly alternatives, here are some additional options to note. Apple’s custom iPhone Upgrade program allows customers to get an unlocked iPhone regardless of the carrier they’re currently using. It asks customers to pay monthly installments, after which people become eligible for a single iPhone upgrade annually after 12 months. The program also comes with AppleCare+ protection program (included inside), and offers an option of a monthly add-on for AppleCare+ with Theft and Loss for $4.17 per month. 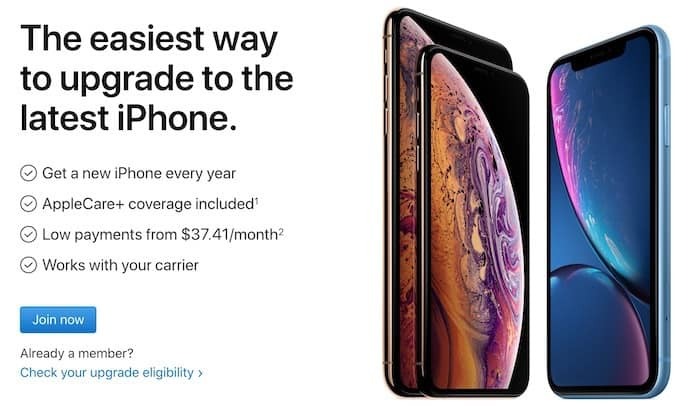 This program begins at $49.91 for iPhone Xs (64 GB), and the iPhone Xs Max’s Upgrade program starts at $54.08 a month for the same capacity. Sprint, T-Mobile, AT&T, and Verizon users all can take part in the program using the Apple Store app or on the internet. In fact, if you open the Apple Store app program right now and start using the iPhone Upgrade Program, you’ll get a pre-approval for the preferred mode. Because the financial plan involves installments, the partner of Apple – Citizen One – and Apple has to conduct credit checks on users to see if they’re eligible for the program. So whether you purchase a device on a Verizon installment plan or buy up front at full cost, you can just take out the Verizon SIM and insert another carrier’s. Just know that if you buy from Verizon on installments, then plan to switch to another carrier later, you’ll have to clear the remaining expenses of your device before doing so. What to do if you Bought a Locked iPhone XS or XS Max? 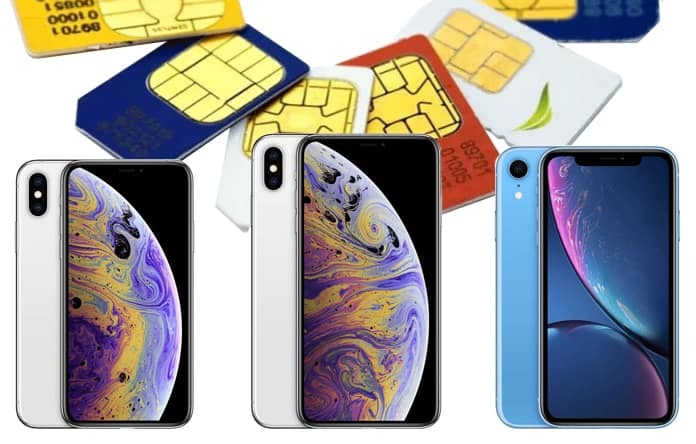 If you own a sim locked iPhone XS, XS Max or another model, then you can simply use our unlocking services to make your iPhone sim free forever. You can see the unlock pricelist here. What About Other US Carriers? While we’re talking about getting an unlocked device primarily, we wanted to touch on the situation with other US carriers. Before anything else, you should know the following about these carriers; while each one does let you unlock an iPhone, you’ll have to wait a bit before you can do so. For instance, AT&T requires you to wait 2 weeks or 14 days if you’ve upgraded the iPhone before the device is unlocked. On the other hand, Sprint makes you wait 50 days, while T-Mobile users have to wait 40 days to unlock their handset.